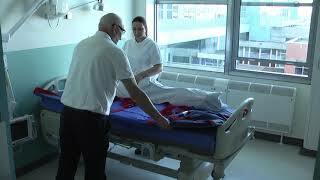 Spectrum Healthcare UK Ltd specialises in the supply of evacuation equipment and moving and handling equipment for use in hospitals, care homes, hospices, schools, universities and any other public or private building which would require evacuation equipment as the result of the Regulatory Reform (Fire Safety) Order of 2005. Our innovative products are designed with the safety of individuals or residents in mind, as well as the postural comfort of the carer. 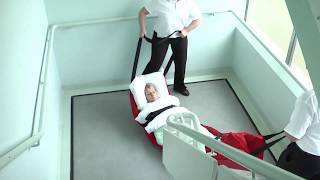 We work with healthcare professionals and organisations to develop evacuation products to cater for all types of individuals, including patients with specialist or complex care needs. Many of our products can be modified. If, for example, you are looking for evacuation equipment for young children we can produce smaller versions or increase the padding for the safe and secure movement of people with conditions such as brittle bones. We understand that the body mass of bariatric individuals can vary, our range of bariatric equipment allows for the safe evacuation of obese and overweight individuals while protecting your staff against manual handling related injuries. We offer coverage of the whole of the UK and Republic of Ireland and provide training and product demonstrations through a network of moving and handling consultants and distributors, located across the regions. If any of our products are of interest please contact us and we will be pleased to arrange a demo of the product or products. The Regulatory Reform (Fire Safety) Order 2005 – Who’s responsibility is it anyway? Evacuation equipment choices – the more the merrier!